If you’ve decided to build a home gym then it can be something of an exciting yet confusing time. The possibility of having a gym at home is great, especially if you don’t actually enjoy going to a regular gym. You won’t have to wait your turn for some equipment, no worries about germs and dirt on the things you’ll use and it can definitely be a cheaper way of doing it because you won’t have a recurring membership fee. What home gym equipment do i need? The first thing to think about when choosing your home gym equipment is to plan what your aims are with your home gym. Are you wanting to lose weight? Are you wanting to gain muscle? Also think about what kinds of exercises and routines you like to do. If you hate working with weights then getting a weight bench makes no sense! If you hate cardio, don’t get a cross trainer! some hand weights – either dumbbells, kettlebells some free weights or a mixture. Possibly a barbell. bodyweight exercise equipment – pull up bars, push up bars etc. Within each of these sections you can go as deep as you like with equipment, but this is the basic idea and it should cover you for a good all round workout. What is the best home gym equipment to buy? So with the above in mind, what should you actually go out and buy? Some things are going to be a much bigger cost and space consideration so if you can I’d start with those first. Get yourself your cardio equipment or a weight bench and see how your gym space looks when you’ve got that in place. How much more room and budget do you have? If budget is tight get a basic set up that you can add more to in time. If you don’t have much space or you’re just starting out and want to ease yourself in gently there are plenty of small and inexpensive items that you can get. Start with an exercise mat, perhaps some resistance bands and maybe a pull up bar. Once you know you’re enjoying it get saving for some more equipment. A big question I get asked is should you go for 2nd hand or new? Or should you pay more or go for a budget brand? If you’re completely new to it all, with a tight budget, consider getting items second hand. 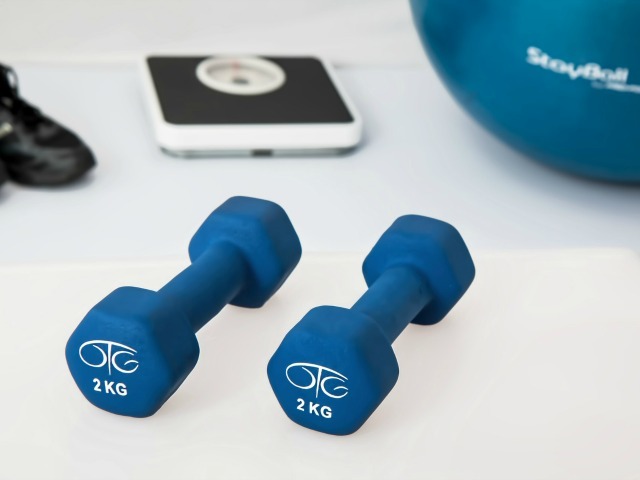 You’ll be able to get much better quality equipment that will be nicer to use so it will mean you’re more likely to have a good time while exercising. You’ll also minimise your risk if you end up not liking it all and you’ll hopefully be able to recoup any costs if you want to sell on at a later date. More expensive doesn’t always equal better. Always check out the reviews on Amazon and read through them for the item you’re looking for and make sure you know what you should be looking for with each item. What are the main differences between the cheap and more expensive? Some mid range equipment does the job just as well as the more expensive and sometimes it’s worth getting the more premium options. If you like rowing machines and want to use them daily then that’s one area I think going to the higher end is a good idea. Premium and high quality sports equipment with good names will have a better resale value if you decide you want to get rid of them at a later date. Maybe you just don’t like them or want an upgrade – having a recognisable name at least will help with recouping your costs. As you can see your personal situation will dictate how you’ll want to build your home gym. Whether you go slow or fast in getting it set up, the main thing is that you use it – just don’t buy yourself an expensive clothes horse!